On your arrival in Pisac you will be met by our moto driver and brought to Hummingbird Retreat Peru. We begin today at around 8am with medicine making for your program, starting early as it takes the entire day to cook. This is followed by time spent exploring your dreams and intentions. The afternoon is a rest space where you have time to reflect and prepare for tomorrows ceremony. First ceremony. We will gather then move down to the maloca (ceremony space) for the ceremony. Dinner is at home. Morning integration session with energy balancing where appropriate, followed by quite reflection time. Second ceremony. Dinner is at home. Morning integration session with energy balancing where appropriate, followed by quiet reflection time. Morning integration session with energy balancing where appropriate followed by quite reflection time. Today is a free day to give you the opportunity to rest and allow the integration of the energies you have been working with. 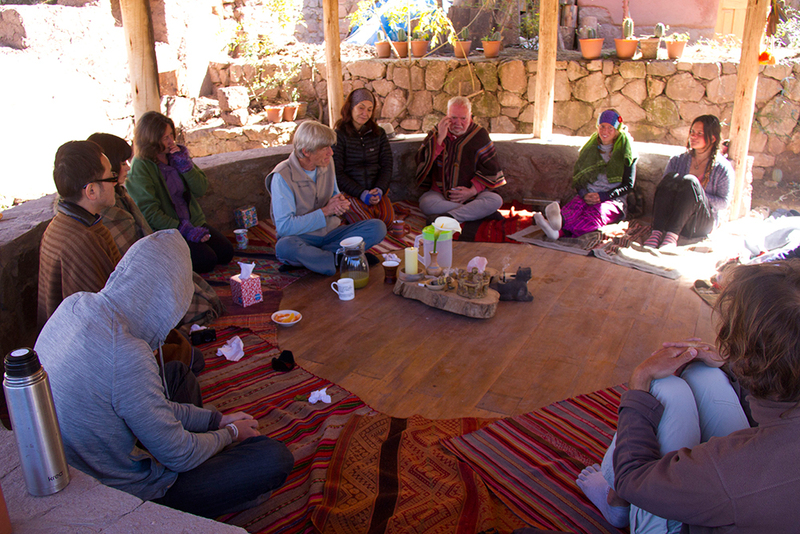 After breakfast we will arange a moto for your return to Pisaq and your next adventure.